Most of the homeowners, at some point of time need the services of a qualified electrician. Whether you are building a new place or remodeling your place, looking for the best electrician must be your topmost priority. Selecting a professional electrician is not as simple as it seems to be. A Google search will provide you a list of options and you choose any one from that. Most of the people simply call the electrician who appears first on the list. By doing this, you will might fall into lots of trouble. You will not only end up working with the one about whom you have no idea; also you might put safety of yourself at risk, particularly when he might end up being unable to handle the electrical work. So, how can you search a reliable electrician to work with? For making the best choice, homeowners should look for certain qualities in an electrician during search. If an electrician you possess all the qualities you must select that. When your relative, friend or trusted colleague recommends you an electrical contractor, you can assure that he has a good reputation. Also, make efforts to do proper research or either ask for the references. A reliable electrician has good reputation and will have a record of high quality work. If the electrician belongs to a company, then must investigate about background of company and this assures that he is trustworthy. This is a very important trait that you must look while searching for an electrician. Always hire an electrician that is certified and licensed by recognized institutions. If they belong to a company, assure that the company is reliable and provides adequate training to their employees in the relevant fields. It is important that an electrician has relevant experience in his field. Validate that he has experience in handling your certain issue. He should have the competency to navigate throughout the problem and offer solutions or merely fix it like the new one. As with the costs and pricing, timeframe is the other concern while looking for an electrician. High quality electricians guarantee same day Electrical Services so that you a get timely and effective repair when you want it. A good electrician will give you a brief overview regarding what needs to be done and give you a reasonable price according to the work that needs to be done. He will take some time for explaining you about the type of issues and why there is a need to fix it. Also, he will offer a better solution or alternative. The most often overlooked, the best quality of an electrician is to remain available at the time of emergency. For instance, emergency electricians in Perth offer 24/7 services, as they understand that the electrical problem can arise at any point of time, might be in the night as well. 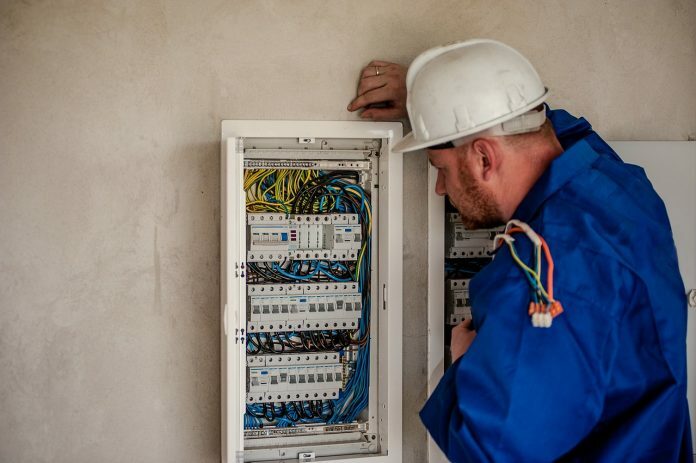 Emergency electricians aim to provide fast response and effective services within a matter of minutes at your call. A reliable electrician takes care of his own safety as well as the safety of clients while implementing the work. Safety practices should be in place as soon as the electrician arrives your home or workplace during emergency calls. Above all, the electrician should have proper training for dealing with risky in the most effective way while safeguarding your property. Another great attribute for a reliable electrician is that he knows how to make usage of present technology at work and for your benefit. New devices and proper technology can be used for determining issues or assess the situation before proceeding. On the contrary, newer technologies do not work properly in certain situations, so it is essential to look for an electrician to whom you can trust on for the most appropriate and best device. You must select an electrician that fits you according to your needs. Finding trustworthy electricity is a daunting task when there are so many options to choose from. Hence, by prioritizing the above qualities in an electrician you can make a good choice of electrician, who can offer you the best Electrical Services. Next articleHow traveling frequently can help in your fight against depression? Elley Santhow is a blogger and works as an editor at Responseelectricianperth.com.au. He loves to write about home improvement, electrical and technology. Response Fire and Electrical Services provides a wide range of electrical services in Perth region.